Annual Fund | The Junior League of Houston, Inc. 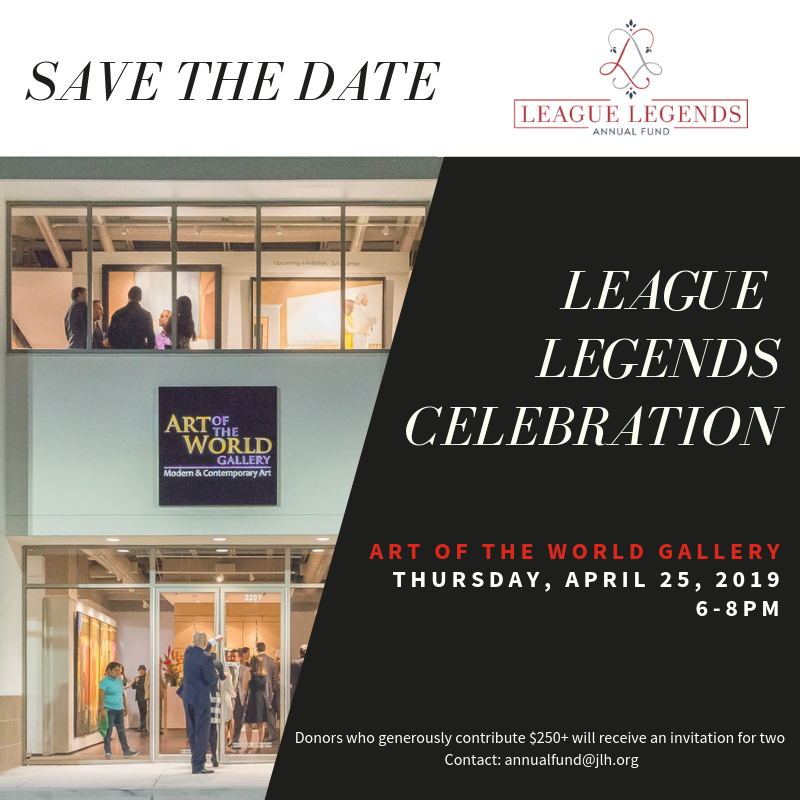 Yes, I would like to support The Junior League of Houston, Inc. in “Building A Better Community” with a gift to the League Legends Annual Fund. The League Legends Annual Fund allows the organization to support its operating expenses, building preservation and community efforts. The Junior League invites you to contribute to the League Legends Annual Fund in memory or in celebration of those who make the League special to you. This simple act of appreciation reminds us to celebrate the gifts that the Junior League and you have to offer. Tribute information will be captured on the next screen. Those donating $250 or more will receive an invitation for the donor and a guest to attend a special donor recognition event on Thursday, April 25, 2019. The fair market value of the event is $25 per attendee. Thank you to Art of the World Gallery, Taste of Texas, William Chris Vineyards, The Perfect Touch, and Baker Noel, Rebecca Adler for underwriting this event.